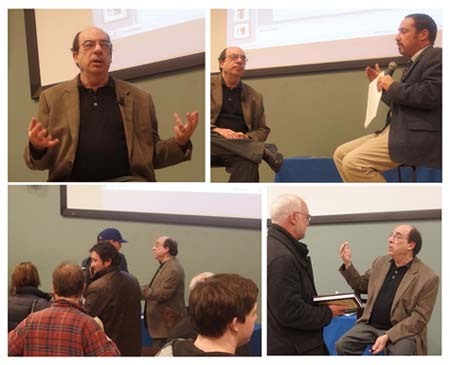 Visiting author Barry Mazor, in his lecture/interview at MTSU on January 26, 2015, spoke to a large group of faculty and students about the unheralded but extraordinary role Ralph Peer (1892-1960) played in bringing popular music styles, especially "roots music" styles, to the public. While many people know of Peer's Bristol Sessions in 1927, which introduced several country music legends, few know about his significant role in introducing major jazz, blues, R&B, Latin, gospel, and rock 'n' roll artists and styles. Mazor outlines Peer's multifaceted life in his new book Ralph Peer and the Making of Popular Roots Music (Chicago Review Press, 2015). After Mazor's lecture, CPM Director Greg Reish interviewed him about his work, and moderated questions from the audience. Mazor stayed to answer questions and sign copies of his book at the close of the event. At the highest level as a jazz artist, Jimmy Heath led or played in groups with John Coltrane, Miles Davis, and many others. Mr. Heath performed on October 20 at MTSU's Hinton Hall. The Annual Meeting of the Tennessee Folklore Society Will Be at the Center for Popular Music, Oct. 25, 2014! at the Center for Popular Music! The Center for Popular Music has acquired the renowned Spring Fed Records from the Arts Center of Cannon County. Founded in 2002, Spring Fed Records is devoted to issuing recordings of traditional Southern music, including old-time country, blues and gospel by artists such as Uncle Dave Macon, Sam and Kirk McGee, The Fairfield Four, Frazier Moss and Mississippi John Hurt. 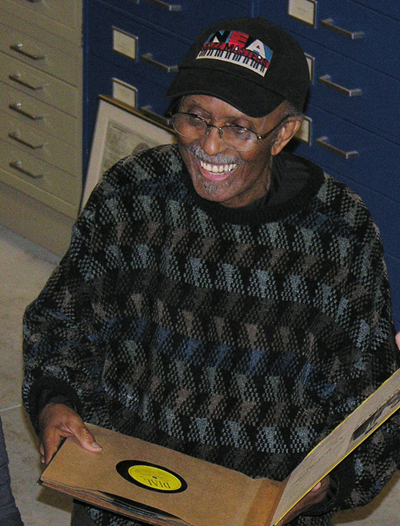 The label’s compilation of field recordings by African-American folklorist John Work III won a Grammy in 2008. CPM staffer John Fabke will manage its day-to-day operations, and MTSU’s College of Mass Communications will assist with production and marketing. For more information, see Gina E. Fann’s article at http://www.mtsunews.com/center-for-popular-music-acquires-grammy-winning-spring-fed-records/. Dr. Gregory N. Reish has accepted appointment as the third Director of the Center for Popular Music and Professor of Musicology at Middle Tennessee State University. "I am deeply honored and utterly thrilled to have been selected to lead the Center for Popular Music into the next, exciting phases of its development, and look forward eagerly to joining the remarkable team at MTSU," he reports. Dr. Reish comes to MTSU from Roosevelt University in Chicago, where he is currently Associate Professor of Music History. 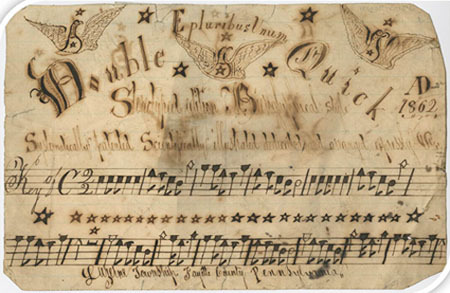 He is now in the final stages of preparation for a book on American vernacular guitar styles from the mid-19th century through bluegrass and country music of the 1940s. 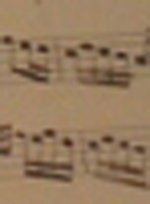 He has written and presented widely in the field of American guitar styles and on avant-garde music in 20th-century Italy. 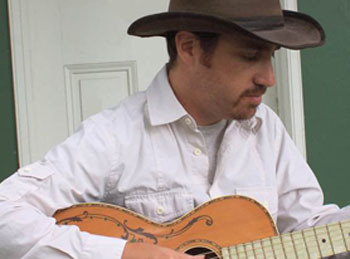 Greg is also an accomplished string player, and performs widely on guitar, banjo, fiddle, mandolin, dulcimer, ukulele, and as a singer, in styles ranging from bluegrass to old-time to country. In addition he is widely sought for workshops. Dr. Reish began his work as the CPM director on July 1, 2014. Anne MacFie, a folksinger/songwriter/storyteller from eastern Kentucky, presented a lunchtime concert at the Center for Popular Music on Friday, April 25, 2014, noon. Anne collected many of the traditional ballads and stories she performs from her Appalachian foothills neighbors. She has also worked with and learned from artists such as Lily May Ledford, Jean Ritchie, and Almeda Riddle. A professional musician since 1969, Anne has performed all over the continental United States and in eleven European and Near Eastern countries. She has recorded three solo albums, two more as a member of the Twa Sisters duo, and one with the Civil War ensemble, Privates By Choice. For many years Anne MacFie has given summer concerts and directed music festivals in the Kentucky State Parks, including Pine Mountain's Great American Dulcimer Convention, and for the National Parks and Forests. 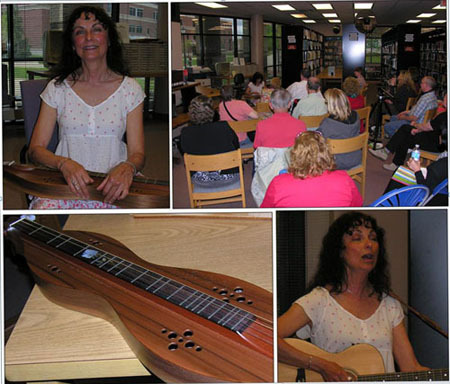 She has taught classes and workshops for festivals and folk camps, such as Kentucky Music Week, Swannanoa Gathering, and Yellowbanks Dulcimer Festival, and is the folksong instructor for annual Road Scholar programs on Appalachian culture. She is also an accomplished and acclaimed songwriter who has been called "the best songwriter in Kentucky today." Her songs are regularly performed by artists such as Kentucky Standard and the Gallier Brothers Band. For more information about her, go to: http://annemacfie.com. 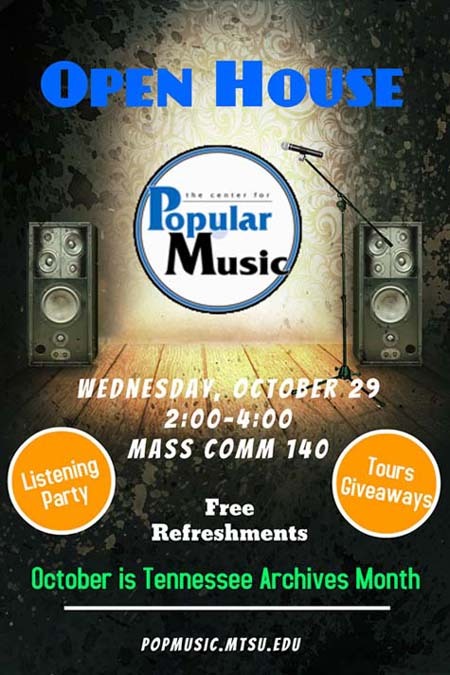 Each week The Center for Popular Music will present one MusicSprings video created in partnership with the Arts Center of Cannon County. The series can be accessed in its entirety by clicking HERE. In this next installment of our MusicSprings series, we are proud to present, "Happy Birthday"
Tennessee Folklore Society Annual Meeting at the CPM! Stephen Wade performed at MTSU! Included a performance at the CPM! Photos from the big event! Former CPM Director Paul Wells hosts fiddle exhibit in Maine with CPM materials. 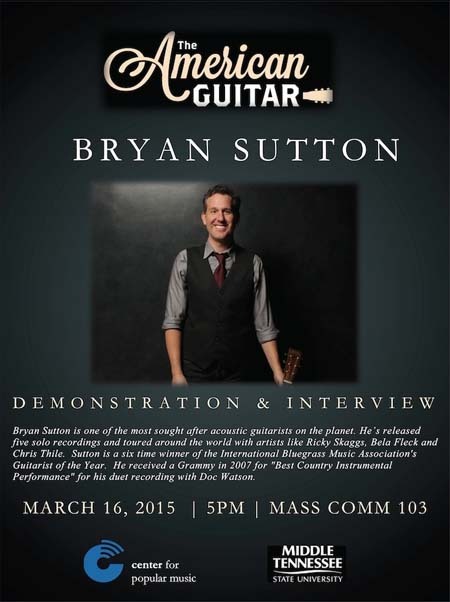 American Guitar exhibit now on display! Check out the diverse selections from the Center's collections. The new Reference and Electronic Resources Librarian. Photos from the Center's previous exhibit on George Jones. Find out more about the group here!